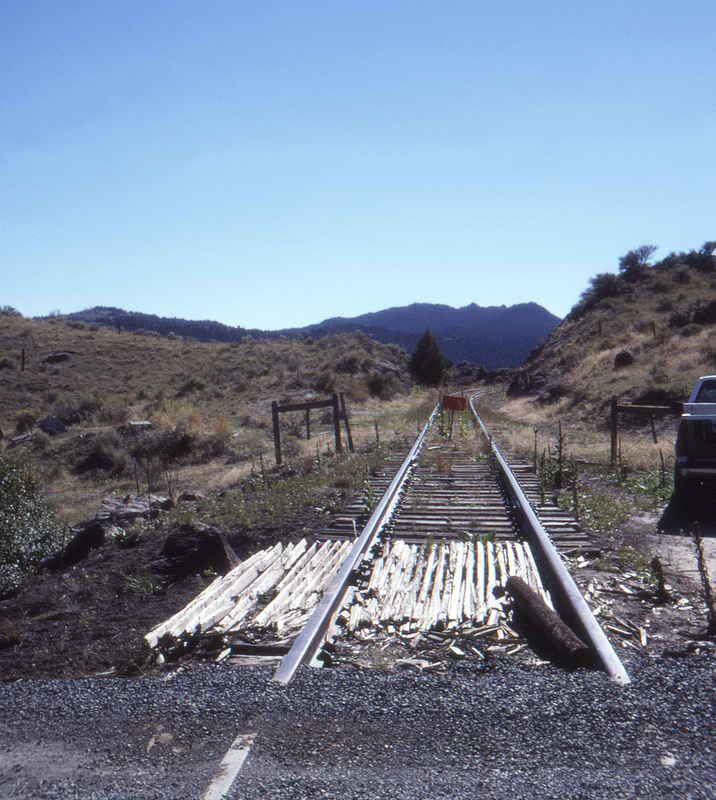 The original Northern Pacific main line was routed via Helena, Montana and Mullan Pass. Only in 1889 did NP commence construction of the Butte Short Line, diverging from the main at Logan, Montana and rejoining the main at Garrison after traversing Homestake Pass and Butte. Because of the scenery, this became the preferred route of the North Coast Limited, the NP's premier passenger train. Sadly, the line was eventually considered redundant by Burlington Northern and placed out of service, which it remains today (there are conflicting stories as to why the line was not abandoned outright). Here, east of the Homestake Pass summit is what remained of this scenic line in 1999, seen from Delmoe Lake Road.